I bought this setup from a good friend quite a few months ago now. I knew it needed some attention when I bought it. No response from any inputs from the keypad. The keyboard generates an interrupt for the 6802 CPU. Using the scope I could see the /IRQ signal was being asserted. I checked all of the ROM’s and found no issue and also checked to surrounding logic and found no issue. 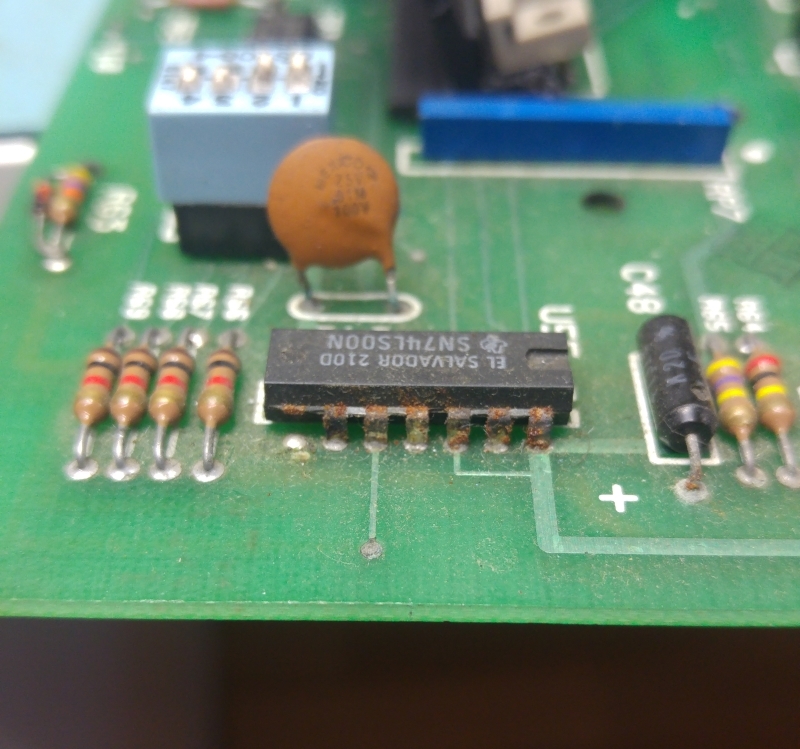 Looking around the main PCB I found a couple of problem areas. As you can see, both of these chips had some corrosion. I replaced them but they made no difference to the problem I had so after a while I came to the conclusion the CPU must be bad. Searching eBay turned up nothing UK based so I fired off an email to my friend, Purity to see if he had a spare I could buy. He had one and said I could have it. Next issue was with the Unipak 2 itself. I could successfully select and read chips but the data being read back was a little wrong. 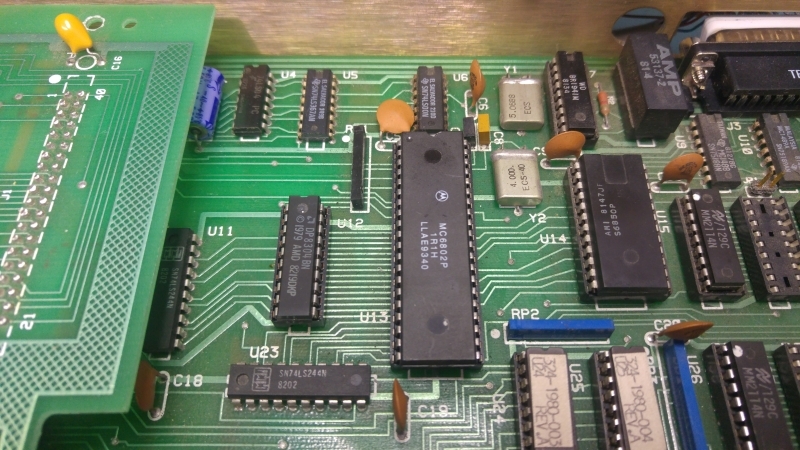 Reading a few carefully selected addresses of an EPROM I found that bits 2, 3, 4 & 5 were stuck high. Looking at the schematics I quickly came to a potential problem area. 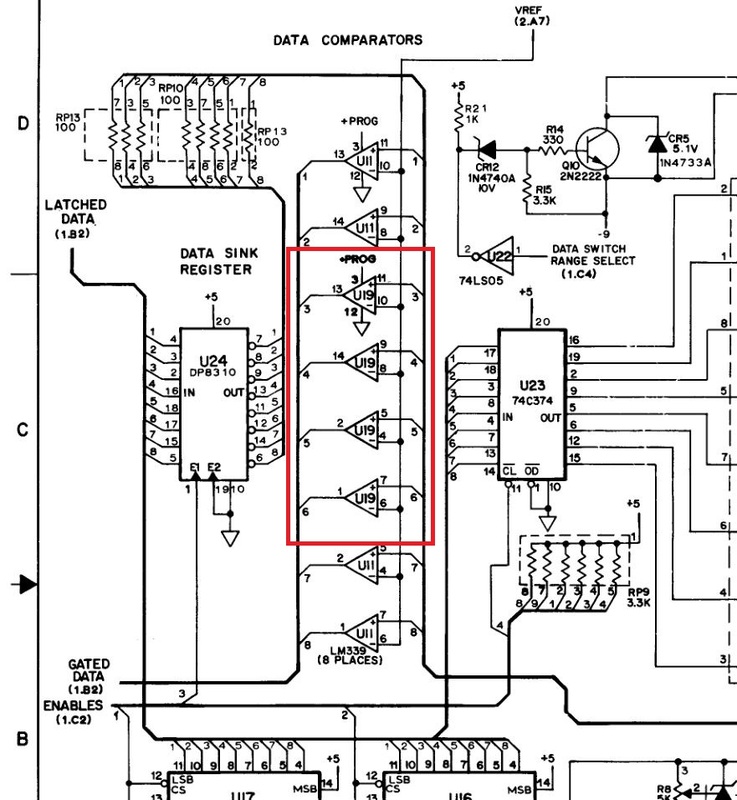 You can see from the schematic above that the LM339 comparator is responsible for those exact bits. 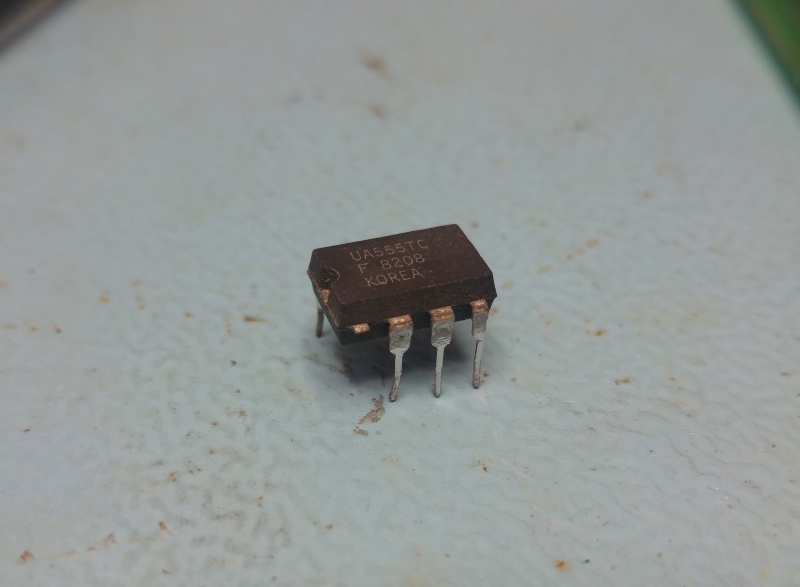 I removed the chip and tested it out of circuit. The chip failed and I ordered some new ones. With a new one fitted everything was back to working status. I’m really happy to finally have this in my collection and working. Massive thank you to Purity for his generosity. He has been very kind to me recently and also a great help. I hope one day to be able to return the favor.